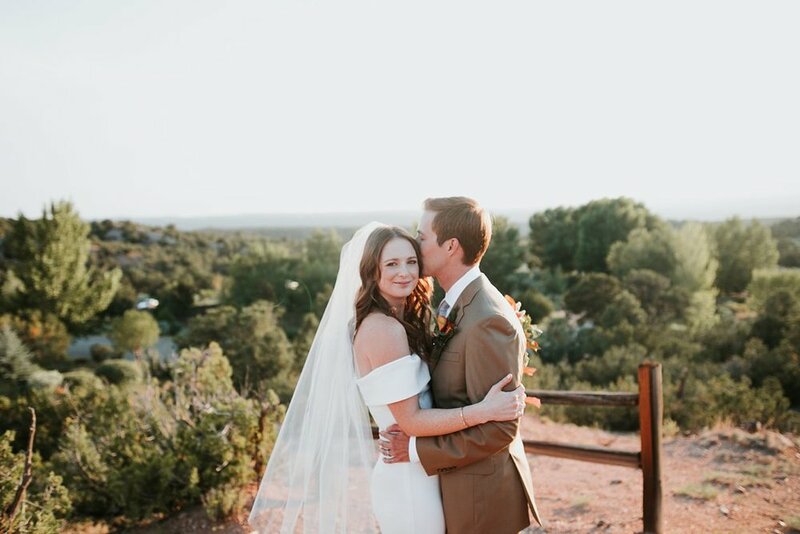 This past August we were so very thrilled to celebrate Tyler and Meredith’s sweet little Santa Fe soirée at Four Seasons Resort and Encantado! These Colorado babes met five years ago through mutual friends in college and since then have shared a mutual love for road trips, fishing, Jimmy Buffet concerts, and (of course) sending each other pictures of dogs (making them official relationship goals). Meredith adores Tyler’s kind heart, goofiness, smarts, and easy going nature while Tyler loves how bubbly Meredith can be as well as her compassion and generosity. Knowing that Santa Fe is one of Meredith’s favorite Southwestern cities, Tyler proposed to her in the middle of the historic Santa Fe Plaza under shimmering Christmas lights! We loved their modern, desert inspired day so incredibly much and adore these two even more! !